Stormcloak Skirmisher is a common Strength creature card. 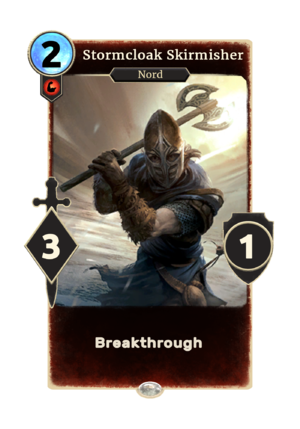 It cannot be obtained as part of your collection, but is summoned by other cards, including Jarl Balgruuf and A Land Divided. "The Empire has no place in Skyrim."